#DrinkPink #ThinkPink #PinkWineMakesMeHappy #RoséTime #RoséAllDay #RoséEveryday – The hashtags for rosé wine abound! With summer here, the shelves are lined with various shades of pink. Rosé is so refreshing, so delicious and the perfect wine to pair with just about anything. Rosé wines are made all over the world but the home of rosé is Provence, France. As the sun shines, the temperatures rise and I open a bottle of rosé, I recall my recent visit to Provence and to Chateau Gassier. Provence is a large region in the southeast of France. There are three main AOP (Appellation d’Origine Protégée) in Provence: Côteaux d’Aix-en-Provence, Côteaux Varois and Côtes de Provence. Côtes de Provence is the largest area, extending over more than 20,000 hectares, and makes up 75 percent of the production. Within the Côtes de Provence there are four Crus: Fréjus, Pierrefeu, La Londe and Sainte Victoire. 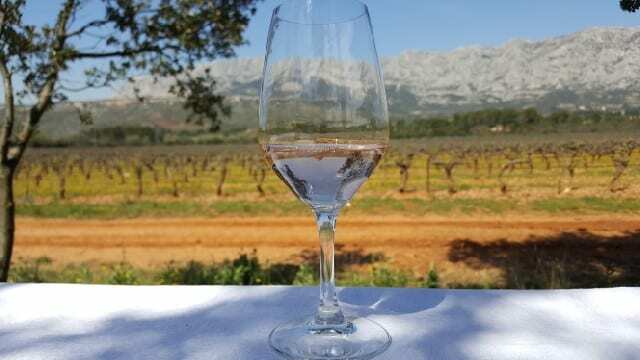 My visit took me to the vineyards of Chateau Gassier in Côtes de Provence Sainte Victoire, an enclosed valley located to the east of the city of Aix-en-Provence and one-and-a-half hours west of Nice. To the south is the Mediterranean Sea, which is blocked by the 1,000-meter-high Aurélien and Sainte-Baume Mountains. To the north is the Sainte-Victoire Mountains. The region has a Mediterranean climate with continental characteristics of warm days and cold nights. Rain comes from the east, and the vines are dried by the warm winds coming from the south and west and the cold Mistral winds coming from the north. The mountains help protect the region from the winds being too intense. AOC Côtes de Provence Sainte-Victoire was officially recognized in 2005. To use this name on the label, the wine can be made with grenache, syrah and cinsault and with up to 10 percent clairette, semillon or ugni blanc or up to twenty percent rolle (vermentino). Yields are low and must be 50 hl/hectare and alcohol must be a minimum of 11.5 percent. 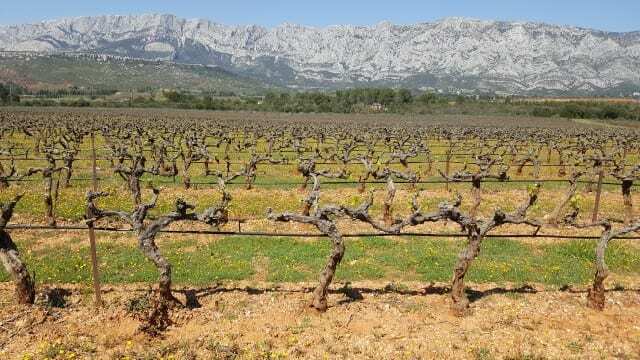 There are 2,500 hectares planted in Sainte Victoire but only 500 hectares are currently approved to use the Cru Sainte Victoire label. To use the label, the winery must declare in February if they will designate the vines as Cru Sainte Victore and then the vines must be approved by the Counseil Interprofessionel des Vins de Provence. One of the producers that uses the Cru Sainte Victoire designation is Chateau Gassier. Chateau Gassier was purchased by the Gassier family in 1982, and today the vineyard is managed by fifth-generation family member George Gassier. Chateau Gassier owns 40 hectares, which wrap around the estate. The soils are riverbed and red clay and due to a lack of rain, the soil is dry. The grapes are machine harvested in order to pick quickly and keep the berries fresh and the wines are made using cold direct pressing. Chateau Gassier was certified organic in 2016 and 100 percent of their vineyard is designated Cru Sainte Victoire. 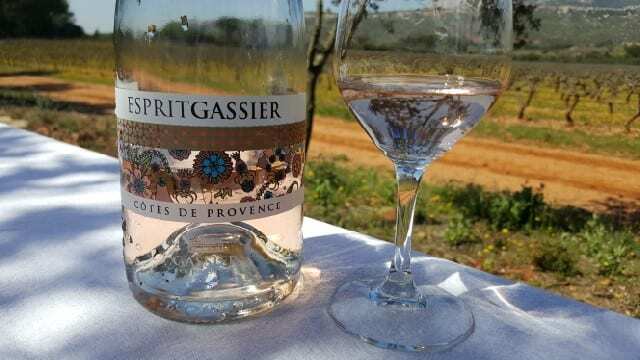 Espirit Gassier 2016 (30 percent cinsault, 25 percent syrah, 35 percent Grenache, 10 percent rolle) – A beautiful light pink color, the wine has a floral nose with peach and pear notes. On the palate, it is delicate with notes of acacia, white flowers and wild pear. 2016 Le Pas du Moine (the path of the monk) (34 percent syrah, 12 percent rolle, 16 percent cinsault, 5 percent ugni blanc, 33 percent grenache) – A pale pink color, this wine smells of green grass, passion fruit, pineapple, lychee, pink grapefruit, red currant and wild strawberries. The big bright aromatic nose was similar to a New Zealand sauvignon blanc. While the wine is more citrusy and tart on nose, on the palate it has medium plus acidity and notes of green apple with a roundness on the mid-palate. This food friendly wine pairs very well with sushi or other Asian dishes. 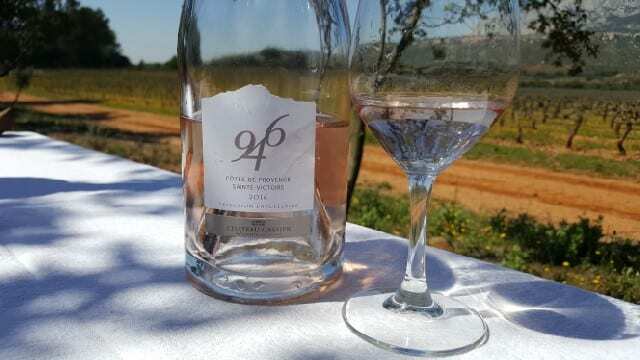 946 Rose 2016 (45 percent grenache, 45 percent syrah, 10 percent rolle) – Named for the elevation, in meters, of the bottom of the cross that sits on the Saint Victoire mountains, this wine is a delicate pink color. The barrel-fermented wine has aromas of peach, crisp red apple, pineapple and white flowers. On the palate, the wine is tart with citrus notes and medium plus acidity. This is the wine to pair with richer foods, such as lobster or foie gras. Remember, summer is here and it is #RoséTime! Next time you walk along the grocery aisles and see the rows of pink wines, perhaps look for a bottle from Sainte Victoire and Chateau Gassier. 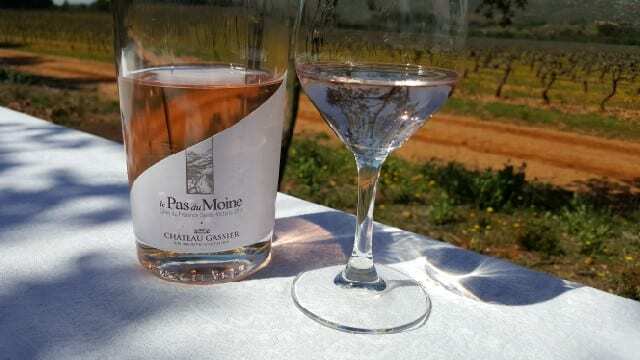 This entry was posted in Travel, Wine and tagged Chateau Gassier, Côtes de Provence Sainte-Victoire, Napa Valley Register, Provence, rose wine, Sainte Victoire, Wine by Allison Levine.